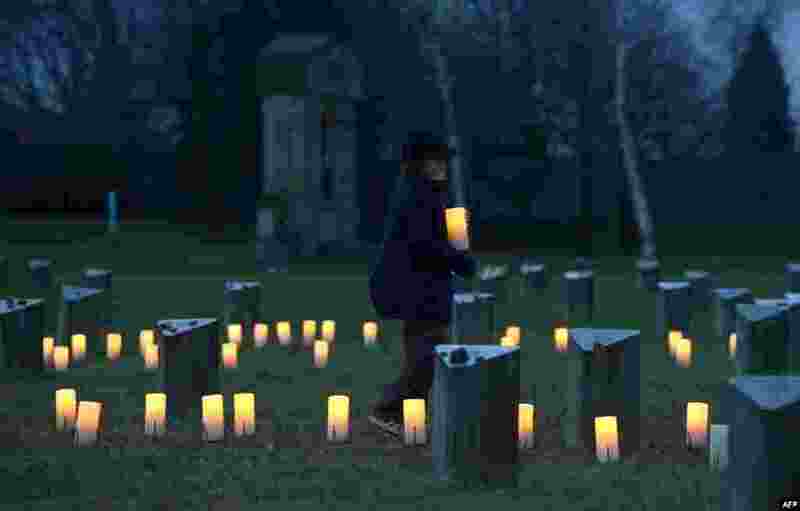 ۱ A child brings a candle to a Jewish cemetery at the former Terezin Nazi concentration camp in Terezin (Theresiendstadt ) during the ceremony to mark the 70th anniversary of the liberation of the former Nazi concentration camp Auschwitz-Birkenau in Oswiecim, Poland. 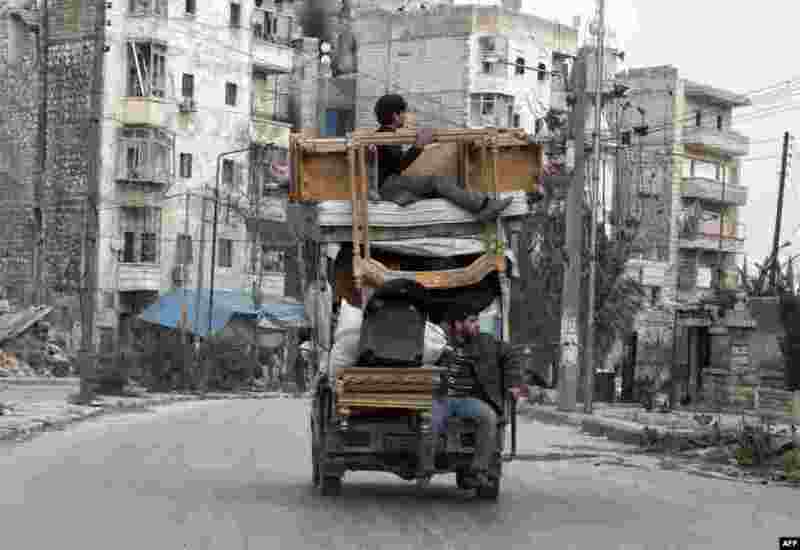 ۲ Syrians transport their belongings from one neighborhood to another in the northern Syrian city of Aleppo. 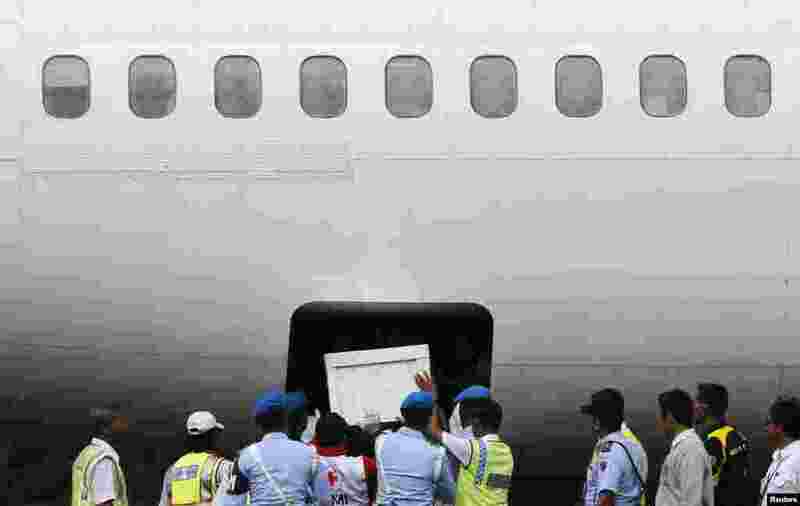 ۳ Indonesian soldiers and rescue personnel put a coffin of a passenger of AirAsia Flight QZ8501 into the cargo compartment of a Trigana airplane at Iskandar airbase in Pangkalan Bun. ۴ Denise Young of Lynnfield, a nursing supervisor at Massachusetts General Hospital, adjusts her hood while walking to work in Boston. 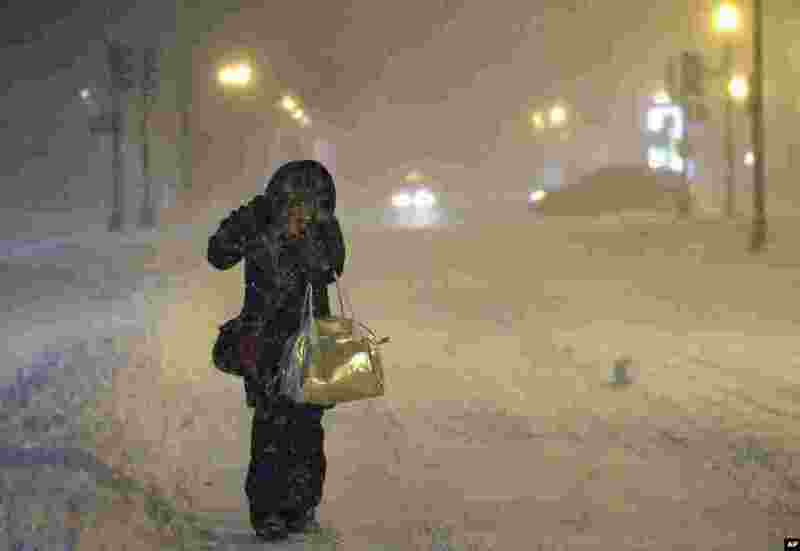 A storm packing blizzard conditions spun up the East Coast, pounding coastal eastern Long Island into Maine with high winds and heavy snow.